Since this issue began, we’ve been talking about changes to familiar forms of content in journalism, publishing, and online editorial work. But unless you’re actually working in a particular specialization, even major shapeshifting can sneak by unnoticed—and even then, similarities in formal change across fields can be difficult to see. We’re focusing now on the evolution of three very different forms of content: the page, the newspaper, and the book. And alongside this piece, we’re also running three short interviews with three of our favorite specialists, one for each form. Taken as a whole, this mini-series offers an idiosyncratic summary of some of the most interesting changes in the forms of our work. Home computers and websites are usually designed around forms borrowed from print. We have “documents” and little pencil icons to show us where to click to edit; our spreadsheet programs are structured around ledger-like “workbooks”; and until recently, we’ve mostly made “webpages.” But as the web has matured and our browsing devices have proliferated, online content has begun to turn liquid and fall out of our page-shaped boxes. Working together, specialists from the webmaking subfields of design, development, information architecture, and content strategy have dragged web production’s focus from pages of styled content to databases of content that can flow into many containers. The next step is clear: to drop the pretense of creating “pages” of content at all and start making semantically structured chunks of (mostly) text that can be assembled, taken apart, and reassembled as needed. These maneuvers started showing up in the technical communication world decades ago, but are only now taking root outside of documentation and “enterprise content management” (for which read “content work for giant companies with tens of thousands of pages of content about their products and services”). Why the delay? Possibly because the editorial challenges involved are real: it’s one thing to turn product descriptions into uniform blocks of content, and quite another to impose structure on narrative forms like news stories or feature articles. There’s also a sturdy cultural barrier between technical communication and ecommerce on one hand and the writers, editors, and publishers who flinch at the word “content” on the other. But as web publishing continues to professionalize, even small improvements in publishing efficiency have become important, and the gains offered by this change are substantial. NPR has famously switched from publishing pages to serving a stream of content via an API—and has seen an 80% increase in pageviews along the way. Smaller organizations, too, are discovering that it’s nearly impossible to keep up with device-specific content workflows based around pages. And along the way, the idea of creating structured content has moved from the more abstract reaches of content management and into the web-design mainstream. The instruments of the newspaper’s dissolution are economic—the decline of advertising dollars and the weakening appeal of paid content have continued to do what nearly everyone predicted they’d do ten years ago. Newspapers are still trying to compromise with the approaching winter by changing the subject and style of their coverage, tinkering with ad and subscription models, and testing new channels. But while the economics of news has turned into its own beat, what has happened to the shape of journalism? Inside newspaper companies, the changes range from cosmetic tweaks to the rise of new forms of journalism. On the timid side, video and audio features have become relatively common on newspaper sites, and the webbiest of forms—the animated GIF—has weaseled its way into news coverage, sans irony. Official blogs are pervasive enough that the difference between blogs and “the actual paper” is starting to seem a little silly. On the side of more substantive change, many of the world’s best known newsrooms have built development teams to create tools for data journalism and apps that work for reporters and readers. And “data journalism” itself has become a new and rapidly growing specialization. Commentators and practitioners are also talking about dissolving and remaking “the story” itself — the thing that’s nominally at the heart of journalism. In a discussion that parallels the “death of the page” conversation in content strategy (but with more emphasis on philosophy and less on tactics) journalists, professors, and critics are talking about dissolving and remaking the news story to suit new models and readers. Outside the newspaper proper, experiments like Homicide Watch and Quartz are engaging that debate by making instead of discussing, redefining traditional forms like “the story” and “the beat” along the way. Another formal change has taken place at the boundary between newspapers and the wider online world. Newspapers maintain active communication on social networks, both as organizations and affiliated individuals: their content and “brands” (a word that’s starting to feel appropriately old-fashioned) are diffusing outward into the stream of the internet. Read-it-later tools like Pocket, Readability, and Instapaper and platforms like Flipboard and Zite have broken the walls that kept “articles” on discrete “websites,” and pushed publishers toward more reader-friendly design choices. In a step further, Mule Design‘s Evening Edition offers an independent, sharply delineated editorial summary of the day’s important events that’s unaffiliated with any established news sources. Books don’t live in one place anymore. We’re still printing and reading paper books, and their digital counterparts are selling brilliantly well both inside Amazon’s DRM-walled fortress and outside it. Many publishers have focused on the things that new technology can add to books: video, audio, limited interactivity. Meanwhile, designers and authors are wrestling with questions of form at every level as the book’s most essential qualities—completeness, authority, fixedness—melt away and the thing we call “book” becomes intrinsically malleable and impermanent. In the meantime, commentators on the future of the book—many of whom have spent the last few years looking backward, often quite fruitfully, to the scroll, the manuscript, and the early printing press—offer dozens of possible paths forward, while a sub-industry of publishing-related startups frantically searches for just the right path: the one that will turn the emerging behaviors of networked books into a source of revenue. Beyond these questions of design, digital production, and commerce, the book’s relationship to the world is changing—or perhaps simply resolving into view in a higher resolution. Despite their long rest between fixed covers, books have never been genuinely self-contained. Whether it struggles with conventions or politely conforms, every book lives within a set of genre expectations, and each book builds on earlier references, arguments, and allusions. Hyperlinks and searchable indexes reveal those built-in relationships and borrowings—sometimes wonderfully and sometimes in ways that wreck careers. And as the network cracks books open and reveals their connections to other texts, it also produces new ways to understand reading. Through services like Readmill, Reading.am, and Findings, the hidden shapes of our readings are becoming visible and addressable. The same changes that make the ground so unstable for book publishers (and libraries and professional authors) are producing a golden age for inquisitive and voracious readers. The network is bringing change to all forms of information, not only these three. Entire journalistic mini-spheres have formed to cover the evolution of familiar forms, business models, and professions; newish fields like information architecture and content strategy have emerged to help companies and institutions find rational ways of adapting to the network’s demands. And in every medium, useful ideas and experiments are eroding the old boundaries between industries and fields and creating vigorous hybrids designed for new climates. And some of them? Might even last. 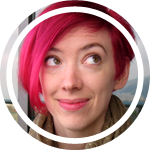 Erin Kissane is a Brooklyn-based editor and content generalist, and the author of The Elements of Content Strategy . She was formerly editor of A List Apart magazine, editorial director of Happy Cog Studios, and a senior member of Brain Traffic. She blogs sporadically at incisive.nu and is usually on Twitter. “Contents May Have Shifted” appeared as a Feature Article in Issue #4. Issue illustration by Meagan Fisher.